Liza Petrovâs entire life has been about skating and winning her sportâs top prize â Olympic gold. Sheâs stayed sheltered inside her bubble, not daring to stray from her destined path. Until she meets Braden Patrick. He makes her heart flutter with possibility, and for the first time she gets a taste of a normal teenage life. 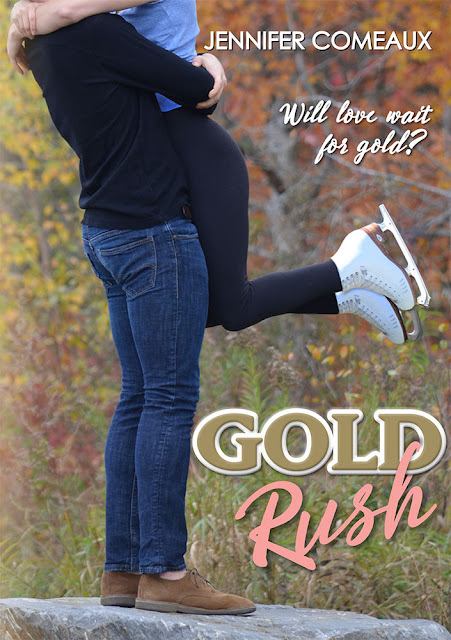 She longs to have both the boy and the gold, but stepping outside her bubble comes with a price. As Liza begins to question both her future and her past, can she stay focused on the present and realize her ultimate dream? On sale for only $0.99! As Braden drove me home, I lost any feeling of comfort Iâd gained, and my palms began to glisten with sweat. I felt more anxious than I had when weâd first started the evening. The âend of the dateâ moment was near, and all I could think about was a possible kiss and Courtneyâs advice of melting into it. I had a terrible fear that I was going to do the exact opposite and be as stiff as a new pair of skates. We pulled up in front of my house, and I rubbed my hands on my sweater. Braden shut off the engine, and I longed to know his next move. Was he going to say goodnight there or was he going to walk me to the door? He stepped out of the Jeep, answering my question. I climbed out, and he took my hand as we walked up to the porch, lit only by the dim gaslight lamps on either side of the front door. My pulse was seriously racing. I hadnât been that nervous since Iâd skated at the Olympics three years ago. Braden faced me, and I looked up into his soft brown eyes. I could barely catch my breath because my heart was beating so fast. Iâm going to have a heart attack and die before I even have the chance to kiss a boy. âOh, no.â I laughed, but I secretly hoped that Dad might pop through the front door and save me from this nerve-wracking moment. âIâm really glad we got to hang out tonight,â Braden said. He squeezed my hand and shifted his weight, and I sensed he was anxious, too, but probably nowhere near my level of freak-out. My face and neck were growing hotter by the second, and I prayed Braden couldnât see how red they were in the low light. âIâd love to see you again,â he said, stepping closer. He smiled and inched further forward, and I felt myself tightening with nerves. It was the same sensation I got sometimes before a critical jump in my programs, and it often meant I ended up sprawled on the ice. What if Braden kissed me and I made it just as much of a disaster? Jennifer Comeaux is a tax accountant by day, writer by night. There arenât any ice rinks near her home in south Louisiana, but sheâs a diehard figure skating fan and loves to write stories of romance set in the world of competitive skating. One of her favorite pastimes is travelling to competitions, where she can experience all the glitz and drama that inspire her writing. Jennifer loves to hear from readers! 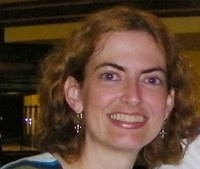 Visit jennifercomeaux.blogspot.com for contact information and to learn more about her books.